Glad to announce we will be returning to The Chicago Auto Show. This will be our 7th year in a row attending the Largest Auto Show in the country. Thank you to Nissan USA and The Chicago Auto Show for having us be a part of this growing show. This event has become one of the manufactures favorite event to reveal new vehicles. We are excited to see the reveal of the new 2020 Subaru Legacy. A whole new platform being introduced to the public schedule to be released later in the year. Also a first for us, we also will be attending the Chicago Auto Show First Look for Charity. An exclusive event that not only gives opportunity see the vehicles up and close but also to give back to several charities. This is a black tie event and so now we have to look our sharpest. Can’t wait to attend this event. Who knows maybe one of us will have the opportunity to win a vehicle? Yes, Chevrolet is looking to donate to one lucky winner the new Chevrolet Blazer and Jeep is donating a Compass. Two great vehicles wonderful to handle anything that crosses their pass. Stay tune for a action packed event. We are back at it again. Our team members Tommy Z and Jared will be covering the event. We all are excited about the highly anticipated Toyota Supra reveal. A long awaiting for the return to one of the most popular import sports cars. Also the new Special edition limited production of 250 Subaru STi. Many more manufactures on hand to show off as well including Ford, Nissan, Acura, Chevrolet, Ram, Kia and Infiniti to name a few. We are all excited and looking forward to another great year. Stay tuned for the newest latest. We are at it again. We will be returning again to give you up to date coverage of the 2017 North American International Auto Show held at Cobo Hall in Detroit, MI. Over 60 reveals being made in just 2 days. Busy day of automotive news. We have a great crew that will be attending the event. Make sure to follow us on Facebook, Instagram and Twitter. We will be covering the Battle Creek Speedfest. The first and only head to head standing half mile event held at W.K Kellogg Airport in Battle Creek, MI. Battle Creek Speedfest is open to all makes and models including motorcycles. What a great place to battle it out with some of the fastest vehicles in the midwest. Battle Creek Speedfest is also a family event being in conjunction with Battle Creek Field of Flight Air Show & Balloon Festival. One of the largest and longest running air shows in the country, this event has grown to be many favorites. Not only will you see Air Show, Balloon festival and head to head action but there will be carnival rides, live music, plenty of food and games all ages will enjoy. If you don't have plans yet, make sure to lock in Battle Creek Speedfest to your calendars. Will be an epic weekend of fun. Click on image to be redirected to Battle Creek Field of Flight Air Show & Balloon Festival. Glad to announce we will be returning to Rt 66 Raceway in Joliet, IL. Here you will see some of the fastest cars, bikes, & trucks in the midwest. 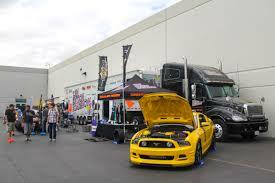 M&H Tire Import Face will take place just south of Chicago next to Chicagoland Speedway. This is a one day event scheduled for Sunday May 22. Below are some photographs from last year. Click on image to be redirected to event page. We will be attending the 40th anniversary of Cartronix Home & Car Audio. 40 years in business?!!! WOW. They will be having a open house celebration and welcomes you to celebrate with them. Will have several vehicles on display and great discounts on variety of products. Just in time for the summer here you can purchase your window tint, alarms, remote start, radar detector, and much more. Nascar Xfinity Series returns again to the legendary Road America in Elkhart Lake, WI. One of the toughest and longest tracks in the country, these nascar drivers will surely be put to the test. We are happy to cover the event again for the second year in a row. It's been moved down 2 months later from year before in hopes to avoid the rain. Seems in past it rained every year and with conflicting schedule it's been moved back. Looking forward to capturing the excitement through out the day and make sure to follow us on Instagram and Twitter for up to date coverage. Inquiries about the event please email me. The newly formed TUDOR United SportsCar Championship takes over Road America’s 4-mile circuit for what will be the most incredible weekend of sports car racing in the world. Fans will get to see the Continental Tire Sports Car Challenge race on Saturday, Aug. 9, with the TUDOR United SportsCar Championship event on Sunday. Fan activities include an open grid, autographs, tech talks, fan forums, car corrals, and Tour de RA bike event. We are glad to announce that we will be attending Pirelli World Challenge Friday June 26 through Sunday June 28th. What a great event to be able to see the best drivers go at it in several classes at once! What an adrenaline to see it live. Make sure to follow us on Instagram and Twitter for live updates. Any inquiries please email us today. Photographs from 2014 Pirelli World Challenge at Road America. Glad to announce we will be covering the first ever Moto America motorcycle event at Road America from Friday May 29 through Sunday May 31. Riders from all over comes and compete in one of the toughest and longest tracks in the country. Make sure to follow us on Instagram and Twitter for live updates through out the weekend. Any inquiries please email us. 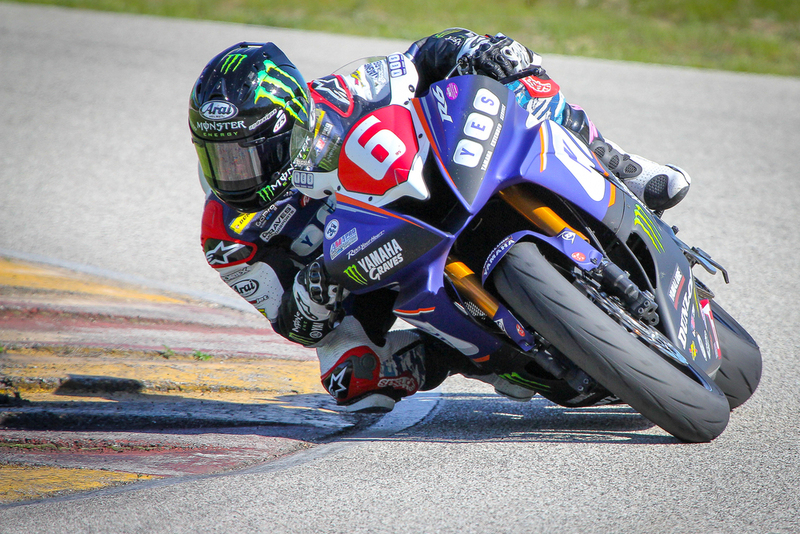 Photographs taken from 2014 AMA event at Road America. We will be attending the 2015 Chicago Auto Show during media preview week. Will be held at McCormick Place in Chicago, IL. Follow us today on Instagram and twitter to see up to date photographs during media day Thursday Feb 12 & 13th. Show opens to the public on Saturday February 14 and runs till Sunday February 22nd. We will be covering the 2015 North American International Auto Show being held at Cobo Center in Detroit, MI. Stay tuned to check out the newest and latest the automotive industry has to offer. Follow us today on Instagram and Twitter to see updated photographs through out the event. We will be attending Media day on Monday January 12 & Tuesday January 13th. Show opens to the public Saturday January 17 till the 25th. Toyota FT-1 from 2014 NAIAS. Just added due to request, we will be covering the Muscle Car & Corvette Nationals this weekend at Rosemont Convention Center just outside of Chicago. We will only be there for 1 day but will do our best to give you the hottest rides and more. Follow us on Instagram and or Twitter for up to date coverage. Show runs Saturday from 9am-9pm and Sunday from 9am-5pm. Cost to attend is $25 for adults and kids 12 and younger free. The Gardner Denver 200 Fired Up by Johnsonville weekend will feature incredible wheel-to-wheel racing from the NASCAR Nationwide Series, Pirelli World Challenge Series, and SCCA Trans-Am Series. Race fans will have the opportunity to watch some of NASCAR’s future stars as they test their skills on the storied four-mile, 14-turn road circuit. Road America has a legendary history of featuring brilliant racers on a challenging circuit that easily separates the good from the great drivers. Additional activities include big screens, fan activities, camping and more! Everything from showroom stock to highly modified purpose-built race cars from ten race groups are scheduled to fill four days of practice, qualifying and racing at this year’s WeatherTech® Chicago Region SCCA June Sprints®. With Road America’s park-like setting, trackside viewing, up-close access to drivers and teams, and legendary cuisine appealing to drivers and fans alike, it’s no wonder the June Sprints® remains one of the nation’s premier amateur sports car racing events. Cartronix Car Audio - Click on image to be re-directed to Facebook page for up to date news. One of the leading Car Audio stores in the country is having the annual Tent Sale on Saturday June 6th. Sale is so big they added a second day. TWO days of savings. Stop by and take advantage. Sale will include car audio, alarms, remotes starts, window tint, car accessories and much more. Oh, did I also mention they are a Home Audio dealer too? Yes you can also receive special pricing for all your home audio needs. We will be on hand to see what we can use for our vehicle and home use. Always look forward to this event. See you there. Click on image to be re-directed to official website. 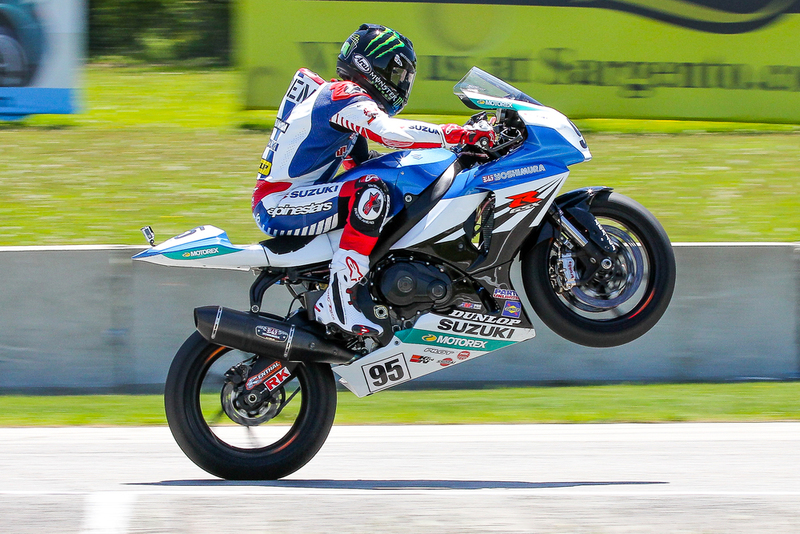 We will be attending the 2014 AMA Pro Racing Subway SuperBike DoubleHeader at Road America in Elkhart Lake, WI. This is the second round of the AMA Pro Racing season. 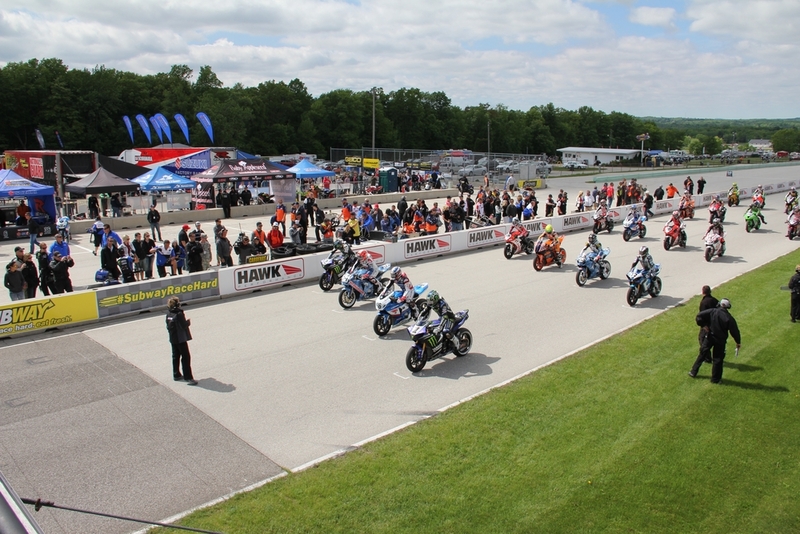 Road America one of the longest tracks in the world, top riders will try to make podium. Stay tuned for coverage of this weekend. Torque Meet Tour will be returning again for another great show of some of the best show cars in the Chicago area. Last year was a record for how many registered vehicles, vendor booths and spectators. This year looking to have another record breaking show. One word, "FREE". Free for anyone to register, vendor booths and spectators. This all will take place one day only on May 3rd at UTI Chicago Campus. For more information click on the Image below. See you all there. Click on Image to visit website and register. Click on image to be re-directed to the Facebook page for up to date news. Cars & Coffee taken place in Limcolnshire. IL. We will be attending and taking few shots of the days event. Show up early as parking lot will fill up quickly. Mischief.TV will also be on hand to cover the event.